Turkey's long-known desire to purchase a long-range air missile defense system has been a hot topic since 2013, but discussions have gained a new dimension after Turkey's possible purchase of a Russian S-400 missile system emerged following the recent Russian-Turkish rapprochement. The story began when Turkey's military procurement agency, the undersecretariat for the Defense Industry (SSM), chose the China Precision Machinery Import-Export Corporation (CPMIEC) FD-2000 (HQ-9) long-range air and missile defense system over American and European competitors, including the Italian-French Eurosam's SAMP/T Aster 30 system, in September 2013. Due to heavy pressure from NATO in November 2015, Turkey announced that the deal was canceled. Following the decision, Turkish sources announced Ankara was planning to launch its own project to build a similar system, but in the light of the recent Russian-Turkish normalization process, purchasing and co-production of Russia's S-400 missile system have appeared as a viable option for Turkey. Turkey's cooperation with Russia in the defense industry was one of the main agenda points at the meeting in St. Petersburg. "We will increase our cooperation [with Russia] in the defense industry,|" President Recep Tayyip Erdoğan told reporters on Aug. 7 at a joint press conference with Russian President Vladimir Putin after a two-hour bilateral discussion. "We have to cooperate with other partners in buying and selling weapons systems because there are NATO allies who refuse to sell us air defense systems or share information with us. Here, we act in accordance with our national security," Foreign Minister Mevlüt Çavuşoğlu said on Aug. 15 in an interview with the German Bild newspaper, underlining that Turkey is one of the biggest supporters of NATO and the country has no intentions to leave it. On the same day as Çavuşoğlu's interview the Akşam daily reported that Turkish delegations have discussed the details of a purchase and even technology transfer in the co-production stage of Russia's S-400 long-range missile system in St. Petersburg on Aug. 7. "The co-production of the S-400 system might take years, thus my sources confirmed that Russia is even ready to send a stand-by missile system to Turkey as soon as they reach a deal," journalist Mahmut Gürer told Daily Sabah about the background of his story. Daily Sabah contacted the Russian Embassy in Ankara, but the embassy declined to comment on the issue. As a NATO member country, Turkey's possible decision to purchase a Russian missile system is likely to raise the alliance's concern. Daily Sabah contacted NATO headquarters in Brussels and asked what its possible reaction would be if Turkey decides to purchase the S-400 systems. "It is up to each ally to make the decisions on its defense plans," a senior NATO official said. "At the same time, allies work closely together to make sure that we collectively have the necessary, deployable, interoperable and sustainable forces with the right equipment and training to be able to meet NATO's level of ambition and able to operate together and with partners." "Turkey is a committed ally and we are confident that the Turkish government will continue to consult with allies as it develops its plans," the NATO official added. Academics and defense industry experts believe that Turkey's decision could create renewed tension with NATO. Answering a question about whether purchasing the Russian system affects Turkish-NATO relations, Professor Dr. Mustafa Kibaroğlu from MEF University in Istanbul said that if Turkey decides to buy the Russian missile defense system, the reaction from most NATO allies will most likely be similar to their reactions to Turkey's negotiations with the Chinese firm a few years ago. "In addition to concerns over compatibility of the U.S.-origin Missile Shield that is now partially operational, also incorporating the radar system in Kürecik, Malatya, NATO allies will most probably express their grave concerns about the serious potential for the leakage of sensitive military information to Russia through the S-400 system if they are deployed in Turkey," Kibaroğlu said. "Should this happen, tension between Turkey and NATO may increase and irritating statements may be made by political as well as military figures from allied countries as was the case during the Chinese air defense deal a few years ago." 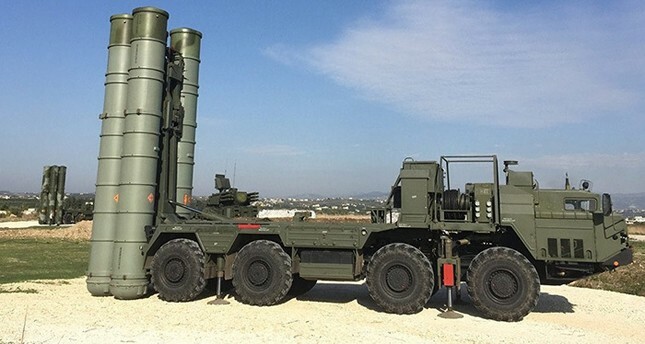 Defense industry expert Arda Mevlütoğlu shared similar thoughts: "If Turkey goes for procuring the S-400 system, the consequences would be severer than the selection of the Chinese system in 2013 for the long-range air defense system [LORAMIDS] program." Mevlütoğlu also said that given that since relations between NATO and Russia are at their lowest level since the end of the Cold War, such a move would definitely have its complications in geopolitical, economic, military and industrial fronts. Defense industry researcher Turan Oğuz holds similar thoughts: "Keeping in mind the current tension between NATO and Russia, NATO will be deeply concerned and could try to discourage Turkey as they previously did for the Chinese FD-2000 air defense system." Oğuz also said that in case of a dead-end conflict, Turkey would end up operating its new air defense systems in standalone mode, like Greece did for its S-300s, but Oğuz stressed that if Turkey decides to use the Russian S-400 systems in standalone mode they definitely will be less effective. "I really doubt that an air defense system would cause withdrawal or expulsion from NATO," he said.